This is the next post in our series on the handling of juvenile offenses in Little Rock, Arkansas. Our last post provided an overview of topics we will be discussing and stressed the need to speak with a criminal defense attorney if your child has been arrested. It is important to speak with counsel sooner, rather than later, so that a possible resolution may be reached which will protect your child’s interests. In this article we will discuss the differences between adult and juvenile offenses in our state. Contact our office today to speak with a lawyer. There are many similarities between Arkansas’ adult and juvenile justice systems. Once one is arrested (whether an adult or a youth) they are brought before a Judge for an arraignment. The accused will enter a plea of “guilty” or “not guilty.” A trial date will be set. 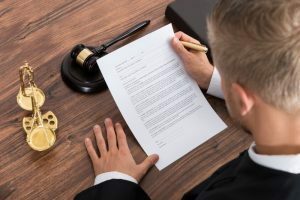 An accused juvenile’s attorney may file Motions to exclude evidence which was obtained through law enforcement’s violations of one’s constitutional rights. If the matter cannot be resolved then the case will proceed to trial. A jury will decide guilt or innocence in an adult case while, in a juvenile matter, the decision will be left up to the Judge. One difference between the adult and juvenile systems is that the former is considered “criminal” in nature while the latter is considered “civil.” The law is that a juvenile case is meant to assist a young defendant in getting their life back on track and not to punish them. While this is the purpose of the system, in theory, the truth of the matter is that it is hard to see a distinction between the two systems. If a youth is convicted of an offense then they may have to serve a period of incarceration while surrounded by other youths who have committed some type of offense. Even if a young person is not incarcerated they will be required to serve probation, to possibly serve community service, and to fulfill other requirements. While Arkansas and other states may claim that juvenile matters are “civil” in nature, the truth is that it will feel like a criminal matter to the accused. Another difference between juvenile and adult matters is that Juvenile Court Judges are given more discretion in issuing sentences. While, in an adult matter, a Judge must adhere to certain guidelines and statutory limits, a Juvenile Judge can order detention regardless of the severity of the offense. This means that a young person who has been convicted will find themselves much more at the mercy of the Court than would an adult. If your young one has been arrested then it is important to contact a Little Rock juvenile defense attorney immediately. Our lawyers have over twenty-five years of combined legal experience and are ready to assist you. We also handle matters in Fayetteville, Fort Smith, Springdale, Jonesboro, North Little Rock, Conway, Rogers, Pine Bluff and throughout the rest of the state.